When is a trip to the dentist not the worst thing ever? When it’s free! The scene is a grisly one: I lie supine in a brightly lit room while a masked female wielding a wicked-looking metal object instructs me not to move. The area is full of strange instruments and various chemicals, and I can hear the muffled whimper of a child in the other room–for him it must already be too late. As she dons gloves and approaches me, I gulp in anxiety, but she has already attached a sinister device that drains my mouth of saliva and my heart of hope. Before I can scream “Geneva Conventions” she is upon me and begins her twisted procedure. This is not a scene from the final days of a Gitmo interrogation chamber. I am at the dentist’s office. And in reality, my dramatic introduction could not be farther from the truth: I’m actually having a pretty good time. 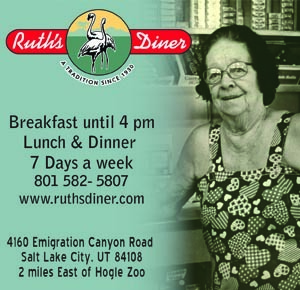 Now don’t get me wrong, going to the dentist is at about the same spot on my list of fun things to do as waiting in line at the DMV and filing my taxes, but there is one thing that makes this visit almost pleasant enough to actually be enjoyable: it’s totally free. Times are tough, and one way to save money is to take advantage of the many services offered by local students who are willing to work for free in order to get experience. This week I visit the Utah College of Dental Hygiene in Orem in search of quality, free dental care. Though the prospect of “student” dental care might seem frightening, my experience was universally positive, and I would highly recommend it to everyone. 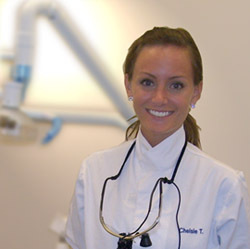 My hygienist’s name is Chelsie, and though she is second-year student, you would never know it, since she is knowledgeable, professional, and highly competent. We start off with a full set of x-rays, and then she leads me back to the dental chair and explains the cleaning and fluoride procedures she is about to administer. 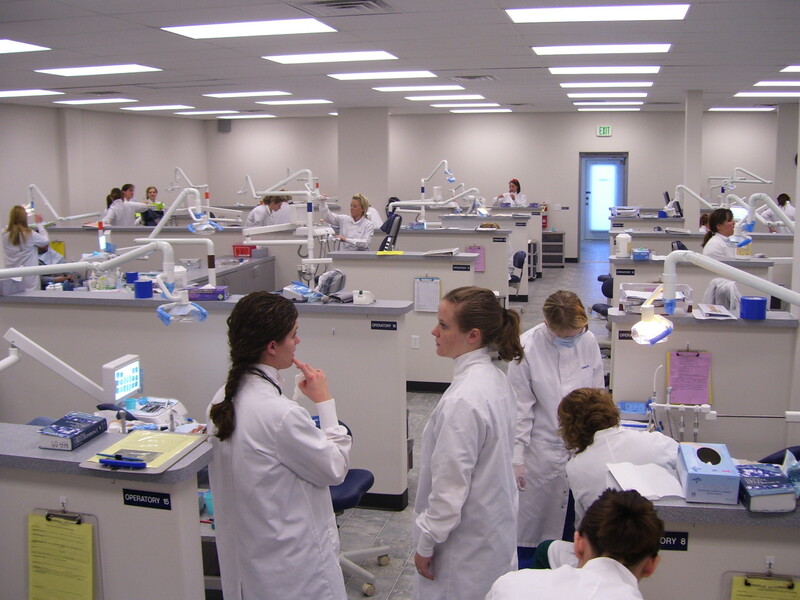 The Utah College of Dental Hygiene is a private, two year program that prepares students to become dental hygienists. Second-year students have the chance to work in their on-site clinic and offer free care to the public to gain experience in the field. The facilities are state-of-the-art, and Chelsie tells me that since manufacturers are eager to promote their latest and greatest products, the college actually is actually better equipped with more cutting-edge gear than most of the dental offices in the state. As Chelsie works, a roaming supervisor, who is an experienced and licensed hygienist, checks on her periodically to answer any questions she or I may have. Something I find particularly interesting is how desperate the students are for patients. Apparently, word on the free clinic has yet to get out. In order to pass their board certification (think of it as a final exam for hygienists), students need to have someone to work on to prove their competence on a specific day in front of an examination panel. The thing is, students are not allowed to test on someone with good teeth–they need something challenging. This requirement leads to a strange phenomenon: the desperate students are paying people to let them clean their teeth. We’re not talking about chump change, either. Chelsie says that some of the girls will pay in excess of several hundred dollars if they find someone with particularly bad teeth who will agree to come in for their exam. While x-rays, cleaning, and fluoride treatments are free, they do not fill cavities or perform any other advanced procedures. However, if you do need these, conveniently located next door is a “half price” dental clinic. There are no students there, only real dentists, and they can do all the things the students cannot for about half the cost of a regular clinic. Now I should mention that although the services I received were free, there is technically a $5 instrument sterilization fee I did have to pay. This money is an OSHA requirement and is not charged by the school. However, that five bucks got me the most thorough dental care I have ever received, and was certainly worth every penny. The final word is this is deal that you cannot possibly go wrong with. It is free dental care with cutting-edge gear, and, if your oral hygiene is disgusting enough, they might even end up paying you! 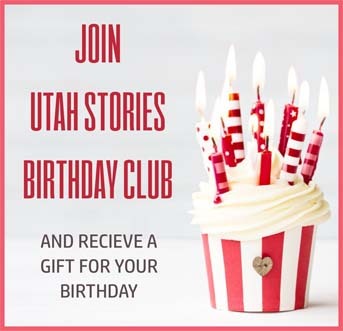 If you are interested in visiting the Utah College of Dental Hygiene, check out their website.